Are you a football fan? Do you support Manchester United, Barcelona, Juventus, PSG, Bayern Munich or any other top European clubs? Then you will love Dream League Soccer for PC. Despite the fact that this addictive soccer game was released for Android & iOS devices, and includes tablets support, it can now be played on Windows and Mac laptops and desktops. Your team is put against the best in the world, and you have to be skillful, fast and smart, to rank your team to the top. The game’s enhanced visuals and true-to-life cameras capture the turn of events on the playing field, keeping you more involved in the gameplay. Dream League Online works on a stable internet connection, and you’ll have to be connected either to a Wi-Fi network or a strong mobile data to enjoy the game. You can choose Formations (3-4-3, 4-4-2, 3,5,2, etc. ), Styles, (Defensive, Moderate or Attacking), and take on any team that stands in your way. The built-in Al forms provide you with a challenging and addictive experience by adding tough levels and changing the gaming dynamics. The game is available for free download, but real money can purchase additional content as well as in-game items. You can buy coins in packs ranging from $1.99 to $19.99. During gameplay, you can earn coins by winning games or watching videos. You can use these coins as well as the ones you’ve purchased to upgrade the stadium, recruit players, develop them, etc. Dream League Soccer is supported by advertisements, but you can disable adverts by purchasing the in-game currency from the shop. If you’ve been playing Dream League Soccer for mobile, then we are happy to inform you that Dream League Soccer for PC will change your gaming experience totally. It’s as realistic as you can imagine, with amazing visuals, realistic animations, 60FPS dynamic gameplay, etc. The real-life soccer events come in full view; skills, celebrations, etc. Moreover, the soundtracks, the roar of the crowd and the commentary are also quite amazing on desktops and laptops. Check Out the latest version of DLS 2019 for PC. Sometimes when playing Dream League Soccer, bluestacks ask you fee to pay but gives you option to download some apps. Every time it asks you just select “Install apps” and continue using it free. I hope you enjoyed this article, please rate and share. 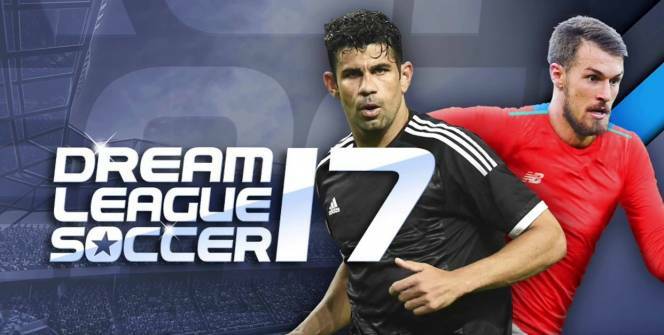 If you have problems running Dream League Soccer on your desktop or any other issues, leave a comment below.